South Summit South Summit is the leading event from the South, connecting the most innovative entrepreneurs with the world's most important investors. We are looking to showcase the 100 most groundbreaking start-ups across industries to highlight talent in Southern Europe and Latin America. Our mission is to bring together the greatest innovators from these regions and connect them with the largest local customers and investors. Now one of the most important start-up events in Europe, South Summit hosts over 7,000 attendees, including 3,500 entrepreneurs and 450 investors. 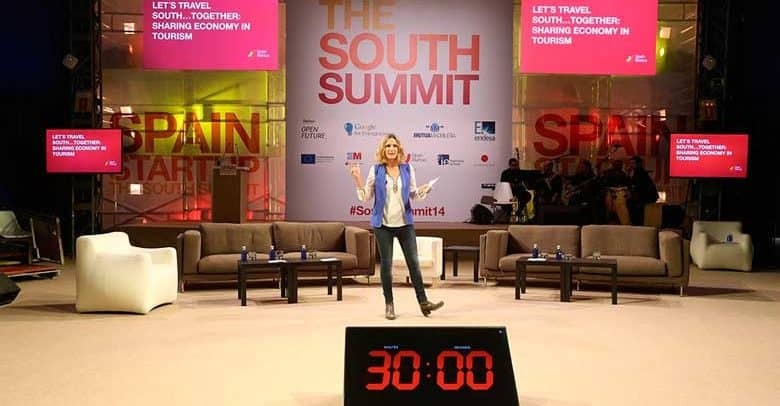 South Summit is looking to showcase talent from Southern Europe and Latin America, creating a global community and platforms for start-ups, investors and innovative corporations. A 3-day event with conferences, debates and meetings with leaders in innovation, business angels and top VC copanies. Participate in the start-up competition and take advantage of the business and networking opportunities waiting for you at every turn. Contact us to find out more about the South Summit! If you would like to learn more about South Summit, click on the link below.